The Government’s long-awaited response to Matthew Taylor’s Review of Modern Working Practices made a lot of positive noises, but was short on any detail as to how the health and wellbeing of “gig” and precarious economy workers can be better protected and supported. Nic Paton reports. So said business secretary Greg Clark in February, unveiling the Government’s long-awaited response to last summer’s Good Work: The Taylor Review of Modern Working Practices. But will it? Is the UK really set to become a pioneer of innovative regulatory frameworks that can more effectively respond to rapidly-changing, technologically-driven, self-employment and “gig”-based models of employment? 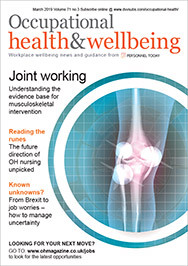 And, given that the Taylor Review made a number of important recommendations around health and wellbeing, including around access to sick pay and support for return to work following illness or injury, what sort of changes can occupational health practitioners expect as a result? Unfortunately, the short answer is “we really just don’t know yet”. This is because, while the document Good Work: a response to the Taylor Review of Modern Working Practices, made a lot of very positive noises around health and wellbeing – and essentially accepted all Taylor’s recommendations in full – it also took a “kick the can” approach to a lot of the detail. After an in-depth, Government-commissioned review and six months of waiting, no fewer than four further consultations were announced within the response. These will close in May and early June and will gather views on Matthew Taylor’s recommendations around the enforcement of employment rights, the employment of agency workers, “increasing transparency between employers and individuals in the UK labour market”, and how to make the employment status rules for employment rights and tax clearer for individuals and businesses alike. Moreover, much of what was announced around health, safety and wellbeing has, it is clear, now been wrapped into work outlined within the Government’s Improving Lives: the future of work, health and disability document published last November, the final shape of which is also still not yet clear. So, what’s the low-down? Let’s look in turn at some of Taylor’s key recommendations around health and wellbeing (paraphrased in bold), and the Government’s response. That the Government place equal importance on the quality of work as the quantity, by making the business secretary responsible for quality of work in the British economy. The Government conceded broad agreement here – something that could, of course, potentially have positive ramifications for workplace health and wellbeing and “good” work if it becomes backed by consistent action and focus. “The Government agrees that equal importance should be placed on the quality and quantity of work,” said the response document. That the Government create a new category of worker, “dependent contractors”, or people who are eligible for worker rights but who are not employees. This was perhaps the headline recommendation of the Taylor Review, and is alas one of those where the answer is “we’ll get back to you” via the further consultations. As the Government cautioned: “Employment status is an important and complex issue that is central to both the employment rights system and the tax system, and so any potential changes need to be considered carefully. That the Government make it a statutory requirement for both employees and dependent contractors to receive a written statement on day one of their job outlining basic matters such as the name of the employer, place of work, hours of work, and pay including holiday pay, sick pay and pension. However, Beverley Sunderland, managing director of Crossland Employment Solicitors, has questioned the extent to which sick pay is likely to be extended to all workers. When the Good Work plan was announced, some interpreted that all workers, including those on casual contracts, would receive sick pay and holiday pay from their first day of employment. However, as Sunderland explained, the consultations suggest this was not quite the case. “The only ‘entitlement’ to sick pay is statutory sick pay and that is only available to employees and not workers. There is no proposal to change this in the consultation documents,” she has pointed out. That the Government should identify a set of measures against which it will evaluate success, reporting annually on the quality of work on offer in the UK. The Government again made clear it broadly accepted this principle. It highlighted the importance and value of reporting on reporting on wellbeing, safety and security, including considering things such as individual physical and mental health, satisfaction at work, inclusiveness, support for people with disabilities, and opportunities to develop healthier lifestyle behaviours. But it repeated that much of this had already been covered in the industrial strategy. In terms of detail, the plan was now that “over the coming months we will open up a dialogue with business, unions and other experts to discuss which measures best evaluate these principles.” The aim is to publish a final list of measures outlining a basement assessment by the autumn. That HM Revenue and Customs should take responsibility for enforcing the basic set of core pay rights that apply to all workers – the National Minimum Wage, sick pay and holiday pay for the lowest paid workers. The Government, again, conceded it fully accepted the principle here, namely that of “the state taking responsibility for enforcing these rights on behalf of the most vulnerable workers.” But, once again, the aim is to consult further on “the scale and distribution of non-compliance with holiday pay and statutory sick pay obligations, and then evaluate the best way to target enforcement activity”. That the Government should reform Statutory Sick Pay (SSP) so that it is explicitly a basic employment right, comparable to the National Minimum Wage, for which all workers are eligible regardless of income from day one. This should be payable by the employer and should be accrued on length of service, in a similar way to paid holiday currently. Here the Government made it clear that reform of SSP is being considered as part of the Improving Lives document. 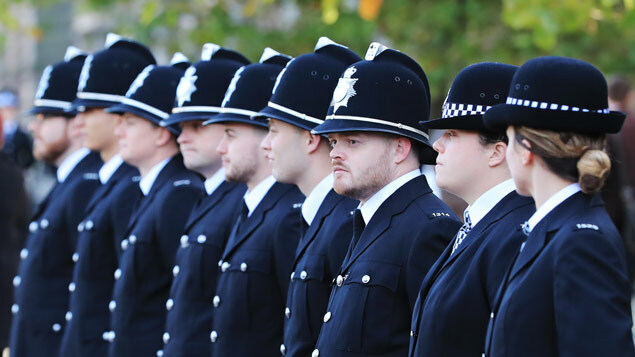 “As part of this, we have committed to bring forward a consultation on changes to SSP to better enable phased return to work, before introducing this reform. The Government will fully consider these issues in the round as part of wider work on how to achieve the appropriate balance of incentives and expectations for employers,” it said. The Government’s Work and Health Unit (a joint unit of the departments of Health and Social Care and Work and Pensions) will also “run a comprehensive programme of analysis and research examining the wider framework within which employers make their decisions and will report back on preliminary work later this year”, it added. That individuals should have the right to return to the same job after a period of prolonged ill health. This right to return should be conditional on engagement with the Fit for Work service when an assessment has been recommended. The Taylor Review was published back in July last year, well before the Government announced in its Improving Lives document in November that it intended to wind up the Fit for Work service this year. Therefore, that element of Taylor’s recommendation had already been superseded. In its response, the Government argued protections for individuals returning to work after a period of prolonged ill health required “further thought”. 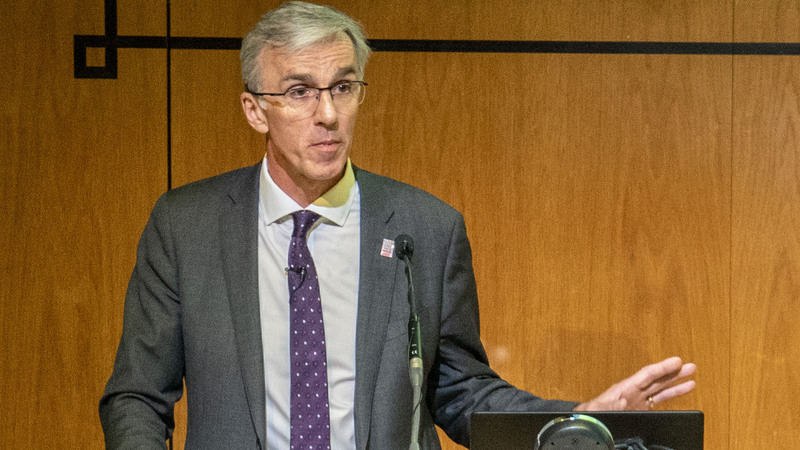 How engagement with occupational health services can better support return to work is, again, something being considered as part of the Improving Lives workstream, with the initial findings of an expert review into OH expected during 2019. The Government argued this recommendation had already been echoed in its Thriving at Work: The Stevenson/Farmer Review of Mental Health and Employers, published in October, which recommended that Government departments explore ways of supporting and encouraging local networks, particularly through city regions and combined authorities, to develop integrated approaches to improving workplace mental health. The Work and Health Unit was “already exploring how to integrate health and work support”, it added. In fact, work was already underway “through a number of trials of integrated employment support in health settings, and prototype work with the Cornwall and Isles of Scilly Local Enterprise Partnership (LEP) to increase and build sustainable local networks. We intend to work further with local areas,” the document added. Alongside the response document, the Department for Business, Energy and Industrial Strategy published a research paper examining the experiences of individuals working in the “gig” economy, including the impact of such working on their health, safety and wellbeing. The report was the result of 150 telephone and face-to-face interviews with individuals, led by the Institute for Employment Studies. When it came to health and wellbeing, one intriguing (if perhaps not overly surprising) finding was that respondents with physical and mental health issues were particularly in evidence among those working in office, short tasks and administration jobs, on account of the fact they could work from home. Respondents with mental health issues often said they felt employed work was not suitable for them, as they found it too stressful. Many with physical health issues also preferred to work from home as this was more comfortable and meant they avoided having to do a commute. Yet, at the same time, when it came to managing health and safety, support from online platforms in emergency situations was “patchy”, the report concluded. There were, too, some concerns surrounding the lack of checks carried prior to individuals working in clients’ homes or other private locations on a one-to-one basis. Those working primarily at home, often undertaking online tasks, generally felt they had no particular health and safety concerns other than ensuring that they took regular screen breaks and that their work stations were ergonomically adequate. There were concerns among some that they were potentially susceptible to repetitive strain injury (RSI) as a result of too much typing or mouse usage, or problems relating to excessive telephone usage. “However, those engaged in tasks outside the home did have some concerns. 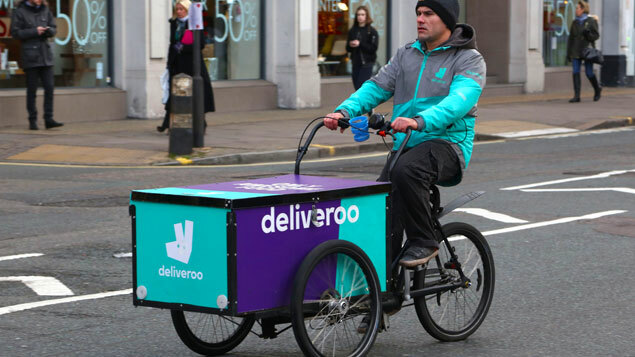 In the delivery sector, there were issues around cycling on busy roads, although this would be the case for any worker using a cycle, and what would happen if individuals had an accident,” the report argued. Although there was acknowledgement that online platforms would normally cover issues such as breakages in client homes, there was concern individuals would receive no compensation if they had an accident that resulted in them not being able to work for some time. This linked to the fact that, as many considered themselves to be self-employed, they had no access to sick pay. For those working within the driving and delivery sector, there were concerns that there was no emergency number to phone if something went wrong. This resulted in drivers often feeling on their own when it came to dealing with any emergency situation. By contrast, those working as taxi drivers felt that, because they were sitting down all day and confined to their cars, either on jobs or waiting for jobs, they were becoming less fit and more unhealthy. Some respondents spoke of the stress of not knowing their schedule or the type of job that they were going to be doing over the next week or so. This was also linked to the stress of not knowing how much they were going to earn, which was held by some to be the greatest source of stress, the report highlighted. It is not all about employment but better salaries to raise the living standard of everyone. This will then bring about genuine happiness and the total wellbeing of the individual. The working conditions must also be lucrative. 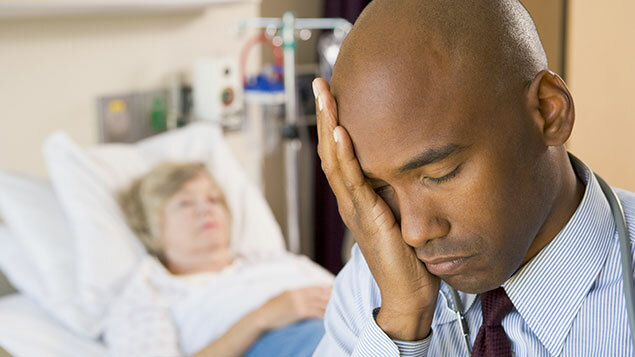 Under pressure – how can we better protect health professionals from burnout?